2 WNBA PLAYERS. 2 WEEKS. 2,000 SHOTS. Download the ShotTracker Player app to your smartphone or tablet and sign up for the program under Challenges on the home screen. ShotTracker upgrades your preseason experience by automatically tracking your shot attempts, makes and misses and capturing that information in the ShotTracker app. 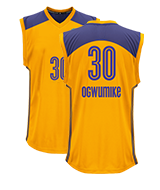 Validated results captured by your ShotTracker make you eligible for the Ogwumike 2K leaderboard and prizes. Attend the live hangout with Nneka and Chiney Ogwumike on Sept. 23 at 5:00 PT to learn more about playing in the WNBA. 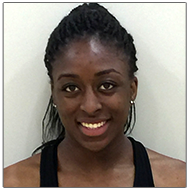 Follow the Ogwumike sisters and ShotTracker on social for updates. Post your own pictures to share your own progress. Use any combination of ShotTracker workouts, drills and shoot around to complete at least 2,000 shots over the course of 2 weeks. Everyone who puts up 2,000 shots (with a device) will be entered to win a WNBA jersey, and if you're one of our top shooters with a device, you may win another awesome prize! Winners will be announced via social media, so follow us! Nneka plays for the WNBA's Los Angeles Sparks after being drafted #1 overall out of Stanford in 2012. Earlier this season she broke the record for the most consecutive FGs made with 23, and is shooting a league leading +70% from the field. 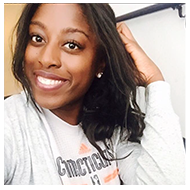 Chiney is Nneka's younger sister and plays for the WNBA's Connecticut Sun, where she was named 2014 Rookie of the year. Chiney has come back strong this season from a knee injury that kept her out for most of the 2015 season. 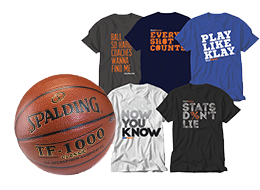 Everyone COMPLETING AT LEAST 2,000 SHOTS will be entered to win signed WNBA gear. 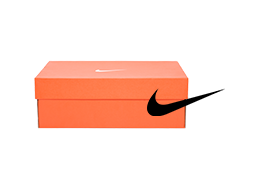 The top two players putting up the most shot ATTEMPTS will each win a pair of Nike shoes of their choice (up to $200 value). The two players with the next HIGHEST FG ATTEMPTS will each receive a basketball and a ShotTracker gear of their choice. Rules: Shots must be completed within the deadline established. Program and prizes are at the sole discretion of ShotTracker and can be modified at any time. The purpose of these challenges is to make better players. Suspicious or fraudulent results will be disqualified by ShotTracker. All ties will be broken by FG% and time on court (in this case, longer is better). Do I need a ShotTracker device to participate in this program? You can manually enter your stats in the ShotTracker app without a ShotTracker device. However, to be eligible for the Ogwumike 2K prizes, your stats must be validated by a ShotTracker device. How does a ShotTracker work and can it be used beyond this program? Here's information on how a ShotTracker works and yes, it's a training tool you will use for years to come. How much does it cost to do OgwumikE 2K? It's free if you manually enter your stats into the ShotTracker app. If you want them validated so you are eligible for prizes, then you need to purchase a ShotTracker device. What about all the shots I am putting up in practice with my team? Do those count? We know you're puttin' in time with your team outside of the Ogwumike 2K. Those shots absolutely count toward making you a better player, but not toward your program stats.